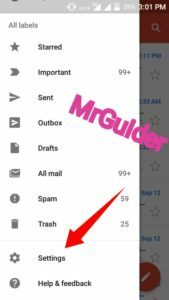 Gmail App Has A Lot Of Features That Make It Easy For Users To Use It In An Organized Way Or Much Better Than Default Settings. Many Of Gmail Settings That Set As Default Not Useful Or Comfortable With Users. So, You Need To Manually Change It. Gmail App Also Has Swipe Action Feature. When You Swipe To An Email Message, It Will Be Archive. But Archive Does Not Let Your Message Delete. By Default Swipe Action Set To Archive. Most Users Want To Change This Swipe Action From Archive To Delete. 1. )Open Your Gmail App In Your Android Device. 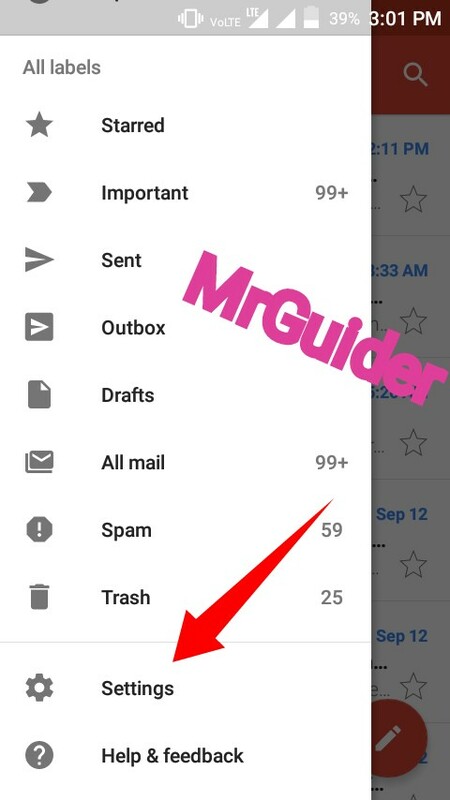 Tap On The Gmail App Menu(Hamburger Type Icon At Top Left). 2. )Under Gmail App Menu, Scroll Down And Click On Settings Option. 3. 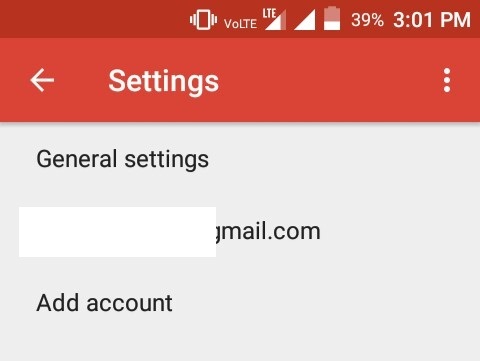 )There Are Two Types Of Settings Available In Gmail App. General Settings And Your Account Address Settings. 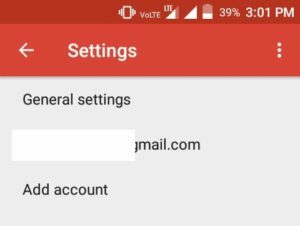 While Settings Of Your Gmail Address Effects On All Platforms Like Gmail On The Web. 4. )You Have To Click On General Settings. 5. )Under General Settings, There Will Be The First Option Of “Gmail Default Action“. Click On It. 6. )You Will See Two Option. Choose Delete. That’s It. When You Swipe An Email Message In Gmail It Will Delete. 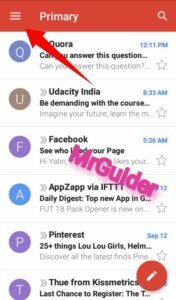 You Can Disable Swipe Actions Also In Gmail App. Open Gmail App→ Settings→ General Settings→ Uncheck The Box Next To Swipe Actions Option. 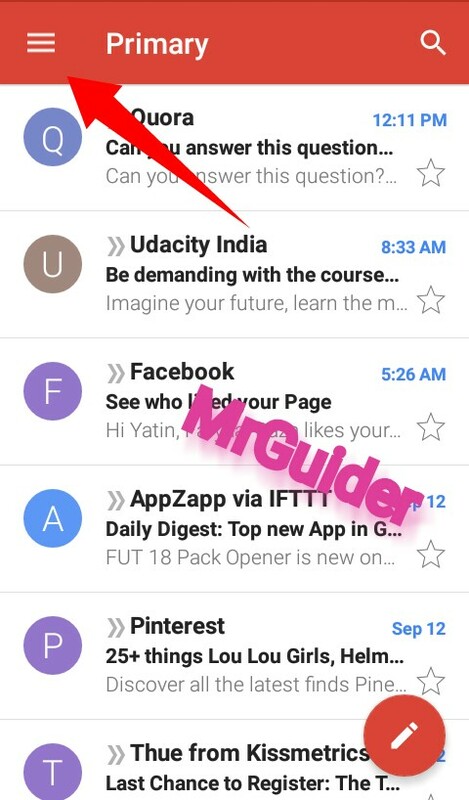 With New Gmail Update, When You Delete A Message With Swipe Action, You’ll See Undo Message. Taping On It Will Undo Delete Action. If You Want To Make Gmail To Ask Before Deleting, Then You Can. Go To Gmail App→ Settings→ General Settings→ At Last Check The Box Next To Confirm Before Deleting. But This Is Not Available In Swiping Action Preference. For More Updates – Subscribe, Like Us On Facebook MrGuider, Follow Us On Twitter @techhuntr, Check Latest Games For Android Here.